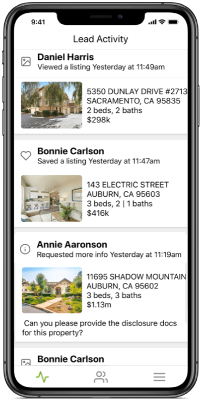 Connect to your iHomefinder IDX account to manage and contact leads, see the listings that catch their interest, and monitor lead activity on your site in real time. 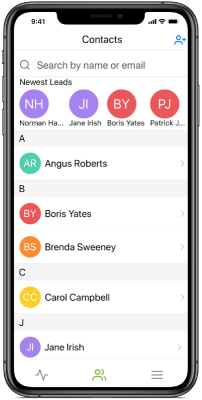 Optima Leads connects to your iHomefinder IDX account so you can manage and contact leads, see the listings that catch their interest, and monitor lead activity on your website in real time. View a live feed of your IDX site activity. Quickly access, add, and update your leads. See what's catching your leads' interest. Optima Leads requires an iHomefinder IDX account. Broker plans and iHomefinder ONE plans are not supported.